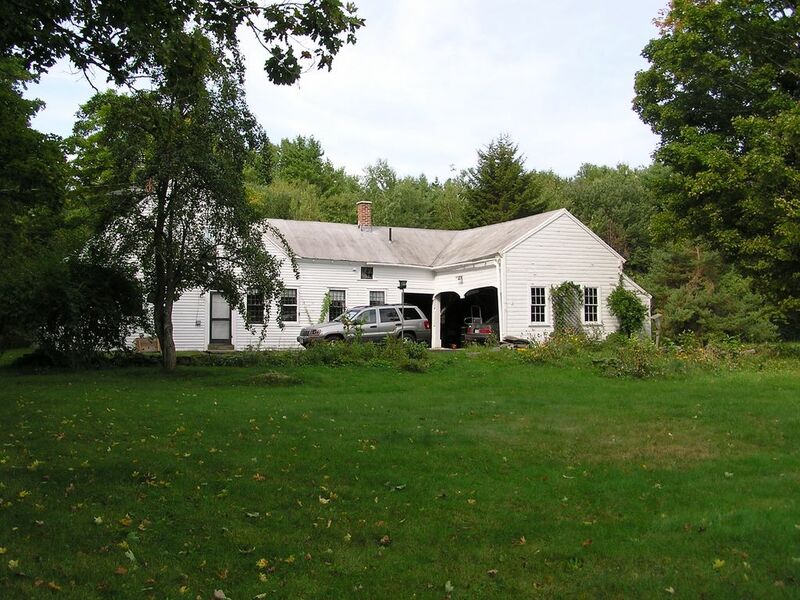 Ce 2 200 pi2 Cap appartenant à notre famille depuis 1931, est situé sur 50 acres boisés dans les belles Berkshire Hills de Western MA, 2 heures à l'ouest de Boston / 20 min à l'ouest de Northampton. Il y a une grande cour avec de grands érables sur la pelouse. Il y a une grande pelouse à l'est avec une vue de 2 mile et une grande pelouse à l'ouest avec un porche ouvert confortable et une table de pique-nique. Il y a un grand champ de foin derrière la maison avec nos deux anciennes granges. La nuit, les champs de foin permettent une vision des étoiles "grand ciel". My family of two adults and three teenagers, plus three guests, stayed in Chip's home for a short post-Christmas getaway. The house was perfect for days of reading and making puzzles by the fire, punctuated by long walks in the adjacent woods and quick trips into Northhampton. Everything we needed to prepare meals was in the kitchen, and Chip was very easy to reach when we couldn't find something we needed. The WiFi was spotty, which was fine by us. (All the teenagers were forced to connect with US instead!) And we had to chop a bit of our own firewood. (Also fine by us. It made resting by the fire that much more relaxing.) We would definitely rent this property again. Thank you, Chip! Chapin's Sugar Hill Farm proved to be a wonderful place for a fall weekend in New England. The historic farmhouse is well maintained, charming, and very comfortable. It was the perfect size for our family of four. Chip (the owner) was very pleasant and accommodating during both the booking process and our stay at the property. Highly recommended! This historic home in the country is surrounded by beautiful scenery and small, unspoiled towns and villages. Still, it is close to the five colleges. The house itself was warm and welcoming, perfect for sitting around the fire reading and eating in. Our family was in the area for parents’ weekend, and I would highly recommend Sugar Hill Farm for anyone visiting the colleges or just looking for a peaceful getaway in a lovely setting. This amazing historic home was everything we could've hoped for. Wonderfully crafted historically preserved, with all the modern amenities you want or need. The home is situated conveniently to restaurants and bars in both Williamsburg and Northampton. Loved our time there.